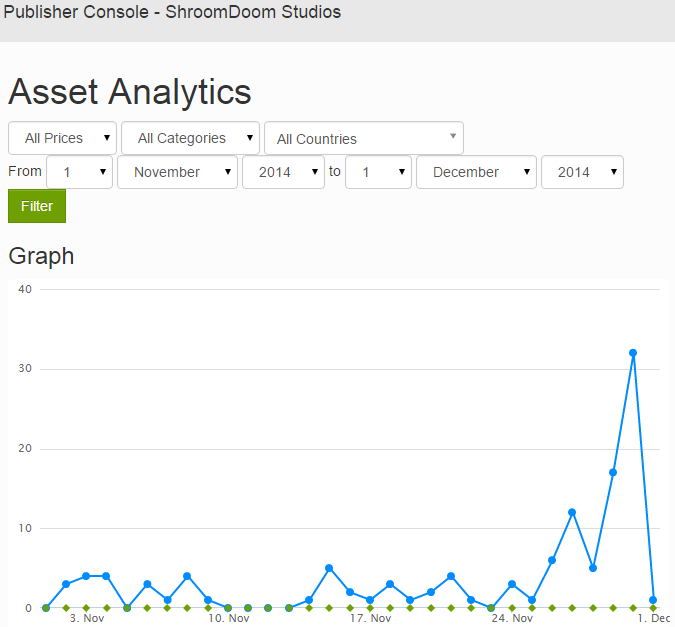 ShroomDoom Assets Top Over 200 Downloads on the GameMaker Marketplace! I haven’t written about this on this blog before (I honestly just forgot to), but way back in August, I started publishing assets on the GameMaker Marketplace, an art and software distribution platform that’s basically the GameMaker equivalent of the Unity Asset Store. And my assets have been doing really well! My first asset was Easy Mobile Controls, a set of scripts for more easily implementing control schemes specific to mobile platforms in games. It’s done really well – as of this writing it’s been downloaded 174 times, and made about $9 in revenue (although I’ve been giving it away for free lately). My second asset is Infinite Parallax – although I uploaded the final polished version of it to the Marketplace two days ago, I actually started working on it towards the end of August. It got shelved until this week because of school. But it’s finally out, and free through tonight! Infinite Parallax uses fancy trigonometry (or really, just geometry) to calculate layer positions for an unlimited number of objects on the fly. It makes faking 3D environments in 2D games really easy by implementing parallax scrolling. The combined total number of downloads is 208, which for obscure software products on a fledgling niche platform is amazing! If I have time (and I probably won’t, since I’m going back to school Tuesday), I’m going to polish components of the Indies vs. Pewdiepie game jam project and upload them as assets.